Ironically, the proof for the vision-like qualities of echolocation came from blind echolocators wrongly judging how heavy objects of different sizes felt. 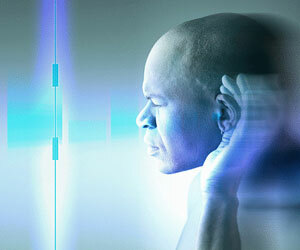 The experiment, conducted by psychological scientist Gavin Buckingham of Heriot-Watt University in Scotland and his colleagues at the Brain and Mind Institute at Western University in Canada, demonstrated that echolocators experience a “size-weight illusion” when they use their echolocation to get a sense of how big objects are, in just the same way as sighted people do when using their normal vision. The researchers had three groups taking part in the experiment: blind echolocators, blind non-echolocators, and control subjects with no visual impairment. All three groups were asked to judge the weight of three cubes which were identical in weight but differed in size. The findings are consistent with earlier work showing that blind echolocators use “visual” regions of their brain when listening to their own echoes. This new work shows that echolocation is not just a functional tool to help visually-impaired individuals navigate their environment, but actually has the potential to be a complete sensory replacement for vision.